How Did The Garden Of Eden Look? Home Adam And Eve How Did The Garden Of Eden Look? At the center of the Edenic peninsula was the exquisite stone temple of the Universal Father, the sacred shrine of the Garden. To the north the administrative headquarters was established; to the south were built the homes for the workers and their families; to the west was provided the allotment of ground for the proposed schools of the educational system of the expected Son, while in the "east of Eden" were built the domiciles intended for the promised Adam and Eve and their immediate offspring. 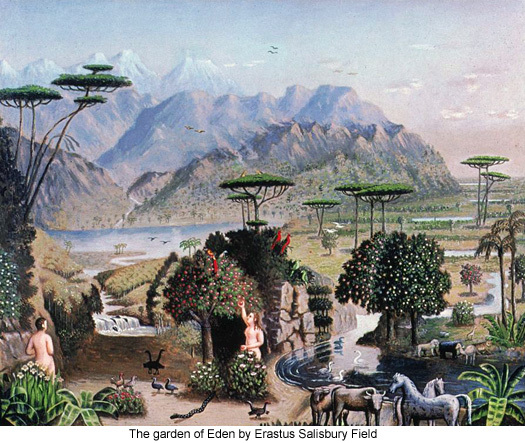 The architectural plans for Eden provided homes and abundant land for one million human beings. 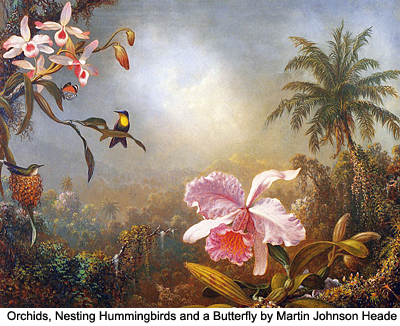 The sanitary arrangements of the Garden were far in advance of anything that had been attempted theretofore on earth. The drinking water of Eden was kept wholesome by the strict observance of the sanitary regulations designed to conserve its purity. During these early times much trouble came about from neglect of these rules, but Van gradually impressed upon his associates the importance of allowing nothing to fall into the water supply of the Garden. Before the later establishment of a sewage-disposal system the Edenites practiced the scrupulous burial of all waste or decomposing material. Amadon's inspectors made their rounds each day in search for possible causes of sickness. Humanity did not again awaken to the importance of the prevention of human diseases until the later times of the nineteenth and twentieth centuries. Before the disruption of the Adamic regime a covered brick-conduit disposal system had been constructed which ran beneath the walls and emptied into the river of Eden almost a mile beyond the outer or lesser wall of the Garden.